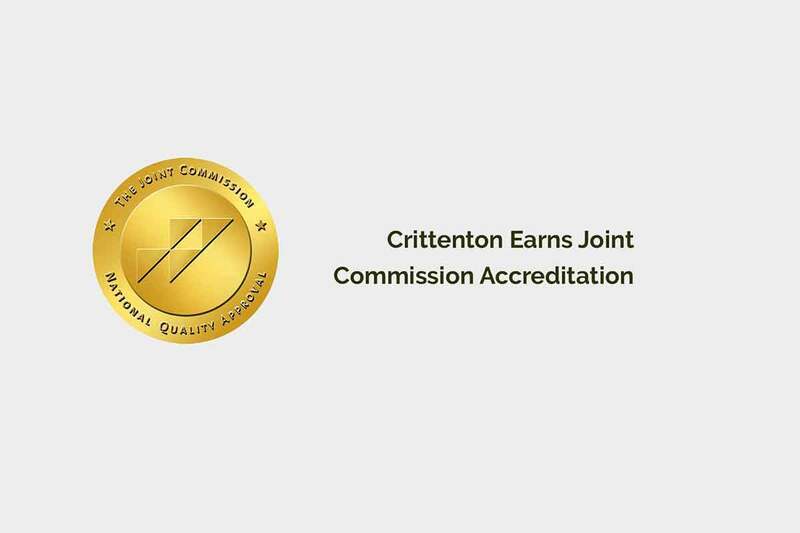 Crittenton Services Earns Gold Seal of Approval from the Joint Commission! Crittenton Services is proud to announce that we have earned the Behavioral Health Care Accreditation from The Joint Commission. This accreditation demonstrates Crittenton’s commitment to the integration and coordination of behavioral health care services and primary physical health services through a rigorous process of external validation by recognized experts in the field. “Crittenton Services has demonstrated its ability to provide services that address the physical and behavioral health needs of the whole person, which can improve overall satisfaction with the care experience,” said Julia Finken, RN, BSN, MBA, CSSBB, CPHQ, executive director, Behavioral Health Care Accreditation Program, The Joint Commission. Our agency underwent a rigorous onsite survey the week of April 24, 2018. During the review, Joint Commission expert surveyors evaluated compliance with a set of standards that focus on the integration and coordination of person-centered health care in order to improve the quality of life for individuals with mental illness or other behavioral health conditions. Crittenton’s compliance with The Joint Commission Behavioral Health Care Standards was evaluated in regards to the following: client care, treatment, services, environment of care, leadership, and screening procedures for the early detection of imminent harm. Additionally, onsite observations and interviews were conducted with staff and clients from various Crittenton programs. “While there are areas Crittenton can improve on, I’m happy to say that our agency has once again been reaccredited and has earned The Joint Commission’s Gold Seal of Approval® for accreditation. The Joint Commission’s Gold Seal of Approval® is a symbol of quality that reflects an organization’s commitment to continuous compliance with its performance standards and provision of safe and effective care,” added Bach. Crittenton Services for Children and Families of Southern California (CSCF) is a non-profit social services agency whose mission is to heal the wounds of abuse and neglect; strengthen families; and help troubled adolescents reach their full potential. Established and incorporated in 1966 Crittenton has a highly trained workforce operating 24 hours a day / 7 days a week providing comprehensive mental health services, shelter care, and other support services to the clients in our care. We provide a full array of short-term residential services, in-home, community-based programming, wraparound family services, outpatient mental health, transitional age youth programming, and foster care services with a service planning area throughout Southern California that covers Orange, Los Angeles, San Bernardino, Riverside and San Diego Counties.